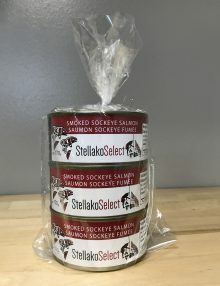 This alder smoked wild Sockeye salmon product is fully cooked and vacuum sealed. 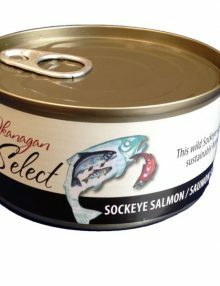 It does not require refrigeration until opened. 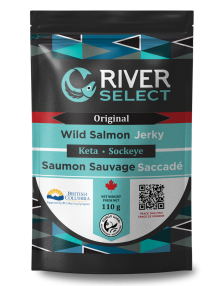 Packed in an easy-to-open pouch, this smoked salmon product is great while travelling, hiking, or for a quick snack. The River Select brand stands for quality, sustainability, and value. 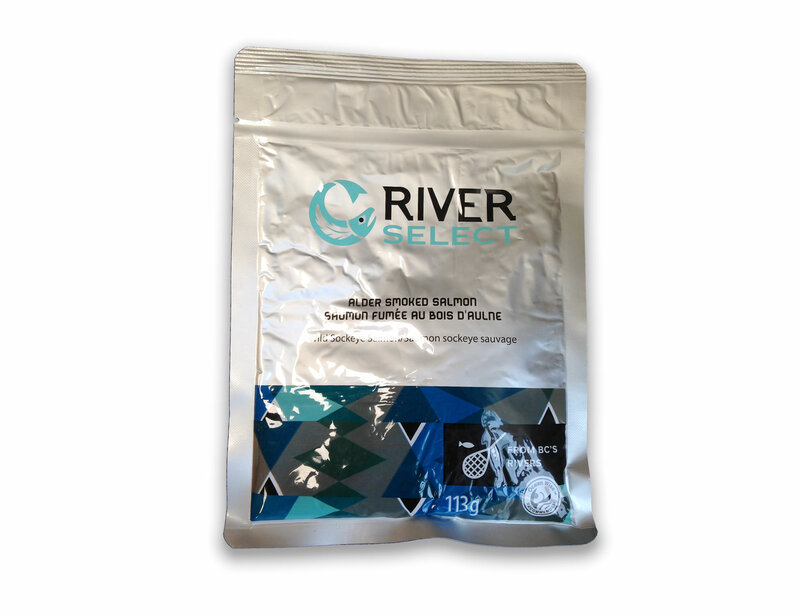 All of the Salmon used to make River Select products come from the First Nations inland fisheries Co-Op. 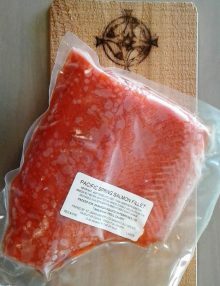 Ingredients: Wild Sockeye Salmon, SKBN (skinless, boneless), salt, natural wood smoke. 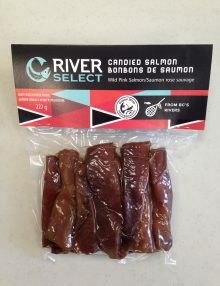 Product of Canada, and sustainably harvested from BC’s local rivers and lakes.